Featuring a grid of leather strips throughout, fastened with rivets and adorned with steel rings, the Berengar Ring Armour Jacket is something to behold. 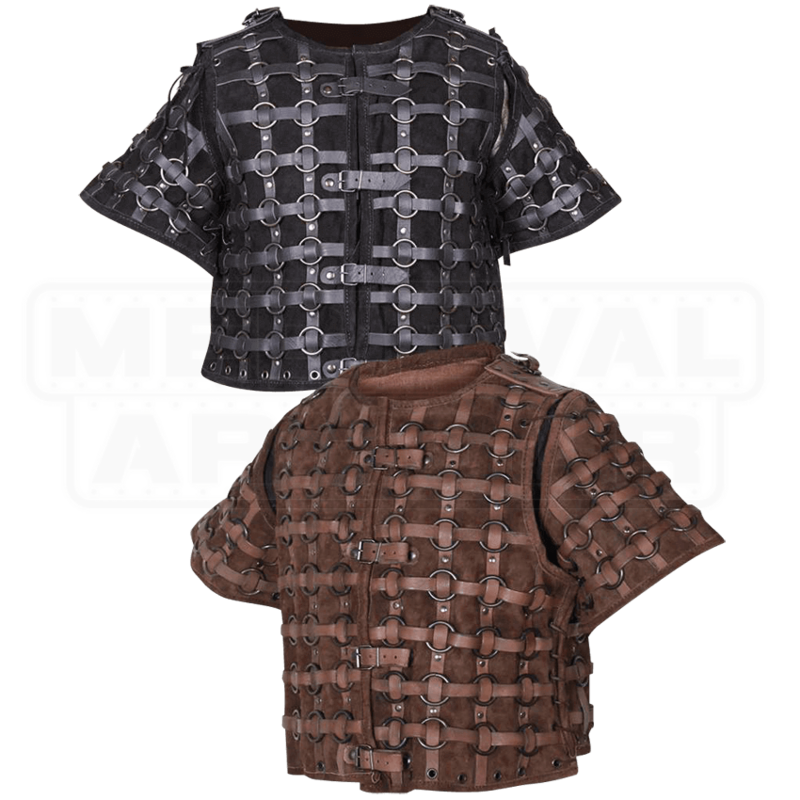 This intense piece of LARP armour is great for a variety of fierce looks. The jacket is closed in the front with four buckles, and straps on the side allow for custom adjustment. 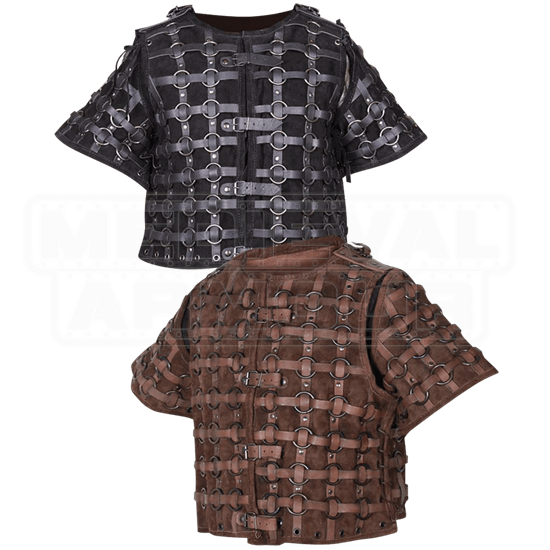 Buckles on each shoulder make it easy to add additional pieces of armour to your outfit, and the short sleeve are attached with cord. Combine this leather armour jacket with the Berengar Ring Armour Tassets (MY100258) to complete this impressive look.